Want to learn more about using wearable technology in the healthcare industry? Check out this post to learn more about wearable healthcare technology. Wearable healthcare technology is gaining widespread popularity, primarily owing to its accessibility and flexibility. 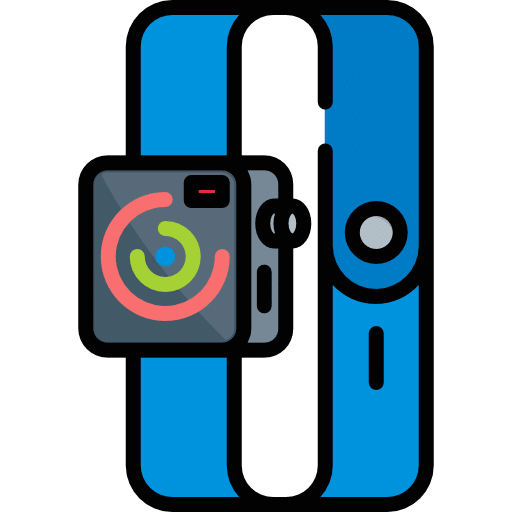 Wearables are compact devices connected to a network with features, such as wireless data transmission, real-time feedback, and automatic health alerts. Thanks to the IoT, wearables are making life easier for both doctors and patients. 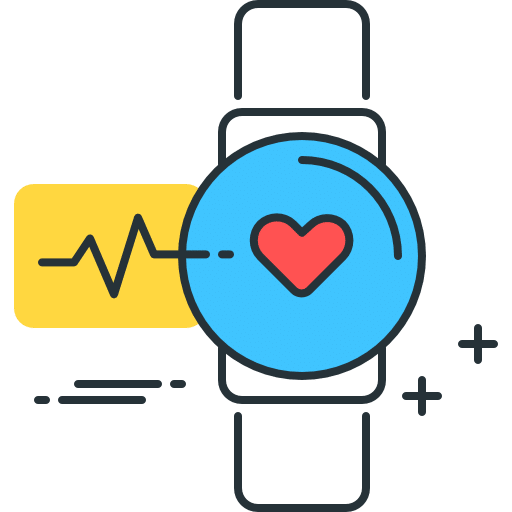 With the ability to enhance the healthcare industry by providing remote monitoring of patients, wearable technology solutions are a crucial step forward in the world of digital health. Most advanced medical wearables require cloud connectivity. By leveraging the power of IoT, any crucial irregularities in the user’s health will be sent to all concerned medical practitioners treating the user, and will also update existing electronic medical records through cloud-based accessibility in real-time. Eventually, doctors will be comforted by the growing accuracy of remote monitoring offered through wearable medical devices and will formulate their therapy by thoroughly relying on the data recorded through these devices. Professionals in the healthcare industry have been refining their methods with the aid of computers for decades. Traditional ways of checking blood pressure and blood sugar required intricate, invasive procedures, which didn’t even yield immediate results. The modern wearable technology available in today’s market has rendered these procedures obsolete as patients and customers clearly prefer non-invasive procedures and results in real time. As the need for in-person clinic visits begins to wane, wearable technology will also experience higher adoption at diagnostic centers, specialty clinics, and pathology labs. Wearable software designed for improving self-management abilities are also becoming key diagnostic instruments for doctors everywhere. Recorded data from such devices is transmitted wirelessly, and the physician can assess important incidences without ever having to schedule an appointment. Almost all the wearable health monitoring devices use a low-range RF signal (Bluetooth, for example) to transmit data. Typically, they are connected to the IoT cloud solutions through an IoT gateway or a mobile app. Wearable devices stream processed and unprocessed data continuously and are expected to work constantly, irrespective of the availability of Internet connection. This creates technology challenges related to volume and offline processing of data. Edge processing in wearable devices, mobile apps, or IoT hubs reduces the volume of data transfer to the cloud and also makes the solution more responsive through the optimum use of Edge and cloud computing power. Offline functionality may be limited, but data collected in offline mode cannot be ignored. Consequently, it creates complex processing requirements when connectivity is re-established. Now, the IoT server has to process the backlog of offline data that is synced in bulk along with real-time (online) data while remaining sensitive to chronological dependencies. This is particularly significant in wearable technology for healthcare applications. As the Internet of Things continues to revolutionize the tech world, wearable technology is making the transition from consumer-grade electronics to federally regulated medical devices. The FDA approval process is laborious and complicated, and not every wearable device powered by IoT needs to be used in a top-level healthcare setting. One of the benefits of consumer-grade wearable technology is how accessible it is for a wider audience. Their usage and applications are going well beyond just reporting blood pressure, temperature, heart rate, footsteps, and location to tracking sleep and serving as a “first alert” notifying the user of a potential health issue. If the issue is severe, the user can begin to seek official medical attention. This is where FDA-approved technology comes into play. The advanced wearable technology used in official healthcare capacities are always FDA-approved. The biggest difference between FDA-approved devices and consumer-grade devices is the veracity of the data collected. Essentially, a consumer device like a FitBit gathers data that would be useful for the end user, but a doctor would need data collected from a device that is FDA-certified. Both FDA-approved and consumer-grade wearable devices are useful and effective, as long as they are utilized in the proper setting. Combined with the power of IoT, these technologies are bringing positive change to healthcare professionals and patients everywhere. Published at DZone with permission of Jordan Eller , DZone MVB. See the original article here.